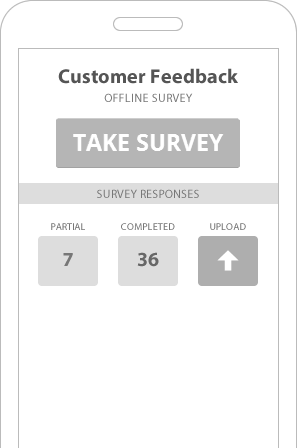 Distribute surveys and collect instant feedback anytime, anywhere with our responsive mobile service. SmartSurvey delivers the benefits of user engagement directly to smartphones and tablets. Create a customised mobile survey from scratch or use ready-made templates then distribute to your contacts. Results are collected in real time so you can export data, share responses and learn from your respondents instantly. With increased response rates and a clear, consistent branded experience, mobile surveys offer smart solutions. Send your survey by SMS and instantly reach your target audience. Using SMS gets your survey right into the hands of your respondents. 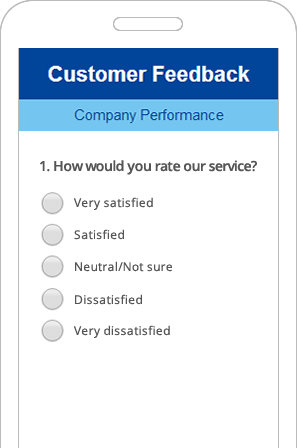 With our mobile survey templates you can capture feedback immediately. Mobile surveys can help you achieve better response rates by reaching out to a wider audience. You can engage with your users whilst they are on the go, enabling you to capture feedback quickly. 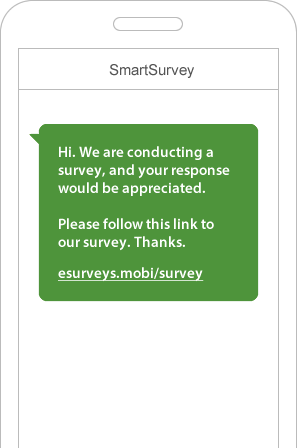 Responsive surveys for any mobile device. Compatible with just about any mobile device you can instantly reach out to users wherever they are. Capture your audience’s attention immediately with a consistent, user friendly browsing experience. All SmartSurvey templates are mobile responsive with no additional set up. Generate relevant, engaging mobile surveys in minutes that will automatically adapt across a range of screen sizes and devices. Design your own branded surveys, making you stand out from the crowd, or customise a ready-made one. Conduct field research from anywhere. Collect face-to-face feedback on your tablet or smartphone at the point of experience. Gather the data you need anywhere regardless of connectivity. Carry out your research at any location where connectivity is unavailable. Data will be stored on your mobile device ready to be uploaded to your account. Data encrypted during transit and at rest. ISO27001 and Cyber Security Essentials Plus certified. Help when you need it, through email and telephone.